A quick drive across the Mississippi River in East St. Louis, Illinois, Malcolm Martin Park offers the classic postcard view of the St. Louis skyline. The park is home to a 30 foot climbable tower as well as a large field. Additionally, the park has the world’s second largest fountain, the Gateway Geyser, which apparently can go as tall as the Gateway Arch. Besides the view which was partly blocked by a factory, the park was nothing special and surprisingly empty. I went on a medium temperature spring weekend day and was the only person in the park for about 15 minutes. I understand that East St. Louis has a stigma, but because it is so close to St. Louis, I would have expected I would have expected a few more visitors. 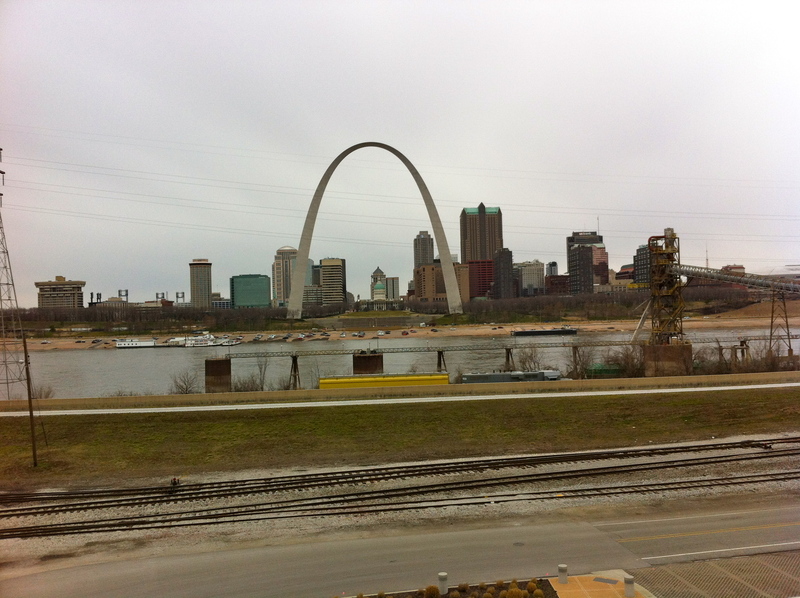 Still, it is nice to see the best view St. Louis has to offer. The amazing view of the skyline somewhat blocked by factory equipment.